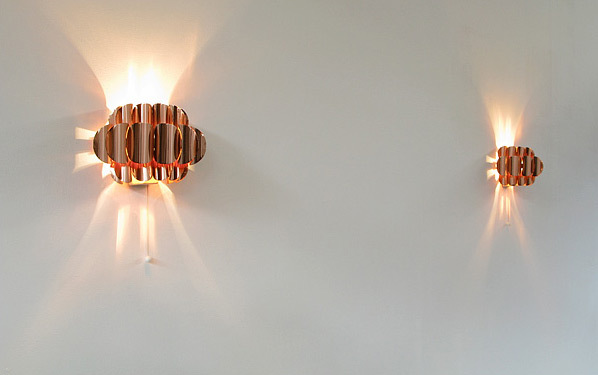 A pair of wall sconces, copper leaves forming a flower supported on a white structure. Designed by Thorsten Orrling and Produced by Hans-Agne Jakobsson Ab Sweden. Pair d'applique en feuille de cuivre en forme de fleur, soutenue sur une structure blanche. Conçu par Thorsten Orrling et produit par Hans-Agne Jakobsson ab Suède.